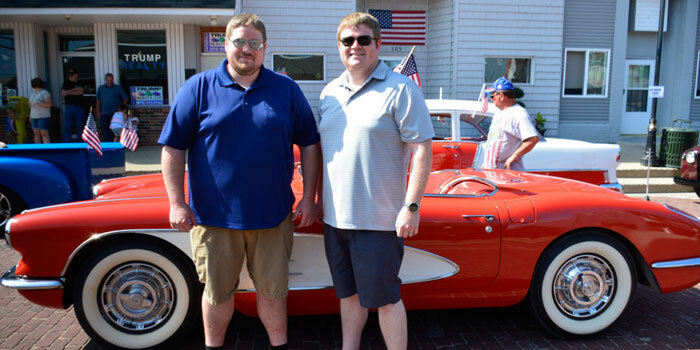 David and Dan Ferguson pose in front of the corvette they would drive in the parade. LEESBURG — Leesburg residents, and more, enjoyed the annual Memorial Day parade, which started at 10:30 a.m. Monday, May 30. People lined the streets of Leesburg all along the parade route, from city hall to the town cemetery. 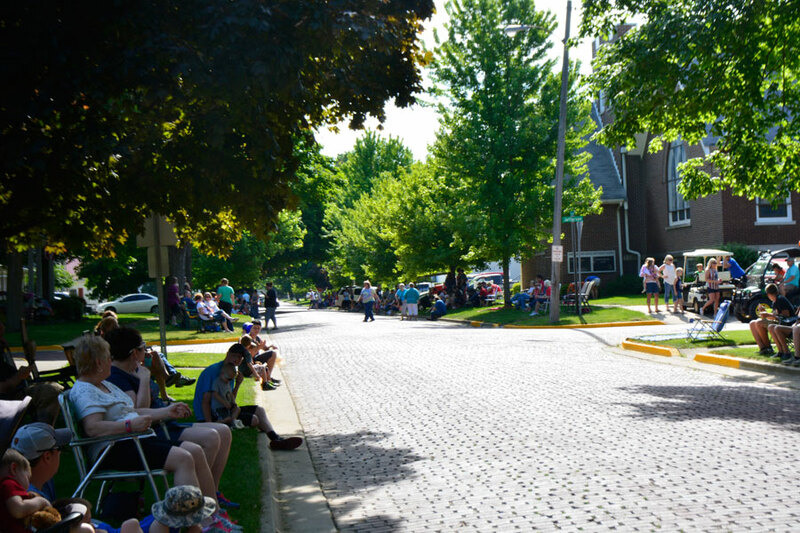 Families were settled in their lawn chairs, laughing and enjoying their time together while the parade got ready to begin. “We’ve always come down for Memorial Day,” said David Kantenwein, a previous resident who had come to visit family. “We’ve been doing this for 30 years,” he continued. 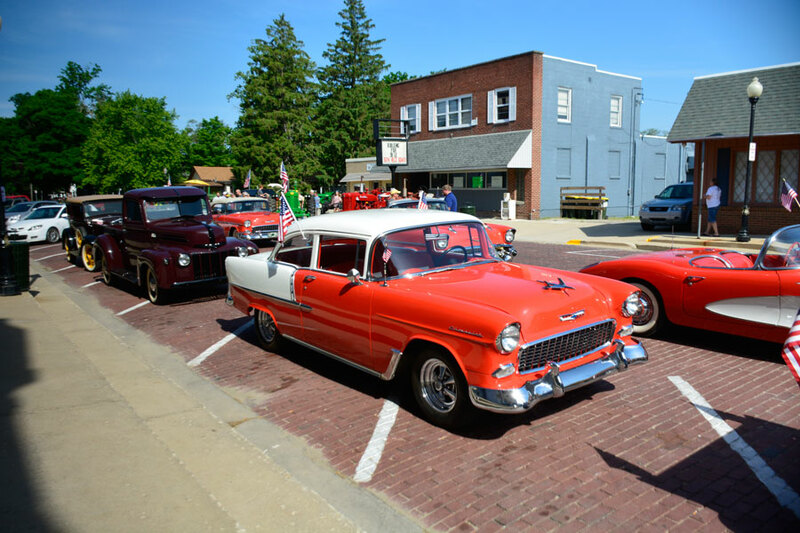 Another resident and former resident, Dan and David Ferguson, had brought a pair of cars to drive in the parade; a banana yellow Ford pickup truck as well as a red and white corvette. “We’ve come the last 20 or 30 years,” Dan said. “Unless we’ve got a commitment we come every year,” his brother added. “It [the parade] keeps getting bigger every year … When the weather is nice like this we get a real nice turn out,” David continued. The parade started and slowly wound its way through the town, ending in front of Leesburg Cemetery. 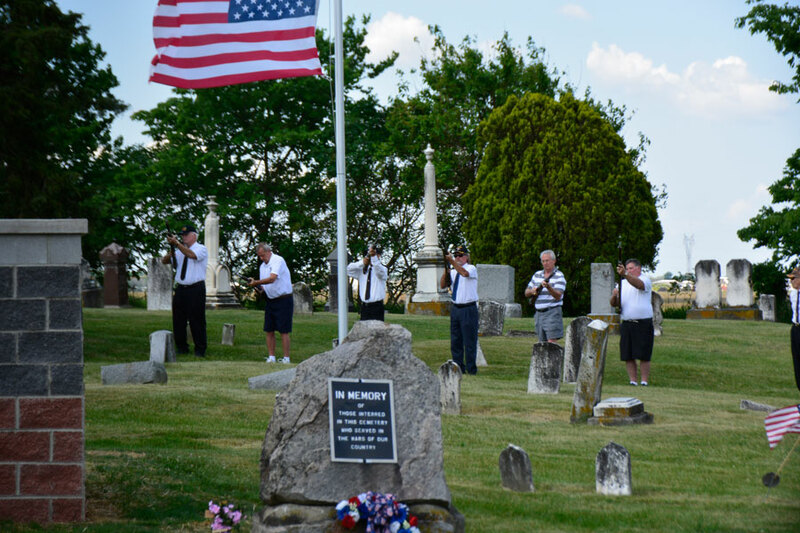 While the celebrations began cheerfully, they ended on a more solemn note as veterans and residents gathered in the cemetery to remember those who fell in the line of duty. Pastor Mike Beezley of the Clunette United Methodist Church spoke saying, “Americans who selflessly gave their very lives for the red, white and blue … they did it for all Americans, not just for the ones like them.” The ceremony remembered the fallen soldiers from the Civil War to the present and a three-volley gun salute was given for the fallen. 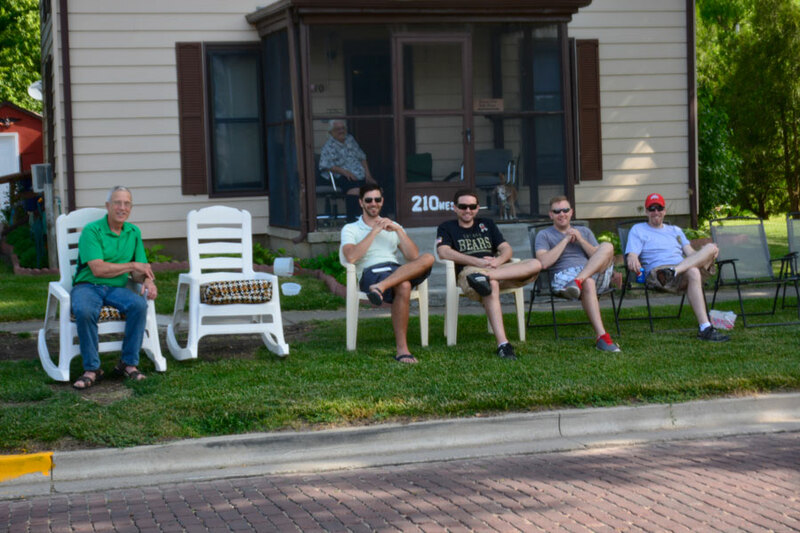 From the left, Mel Regier, David Kantenweir, Josh Higgins, Ben Haab and Shawn Kantenweir sit together waiting for the parade to begin. People lined the streets while waiting for the parade to begin. Restored vintage cars lined up waiting for the parade to begin. 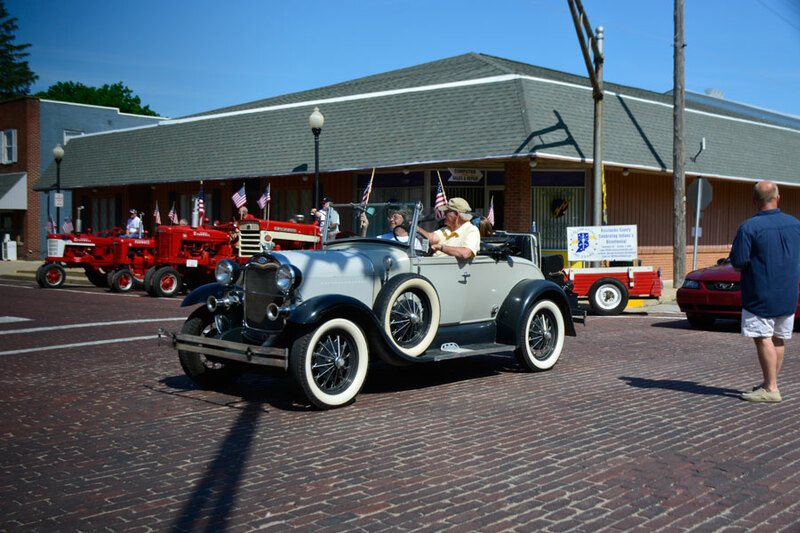 A vintage car rode forward as the parade began. 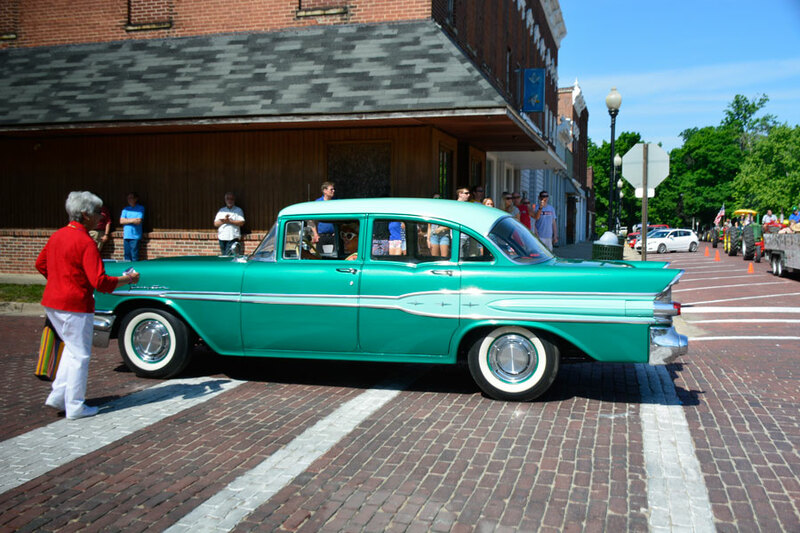 A vintage car moved slowly as the parade proceeded. 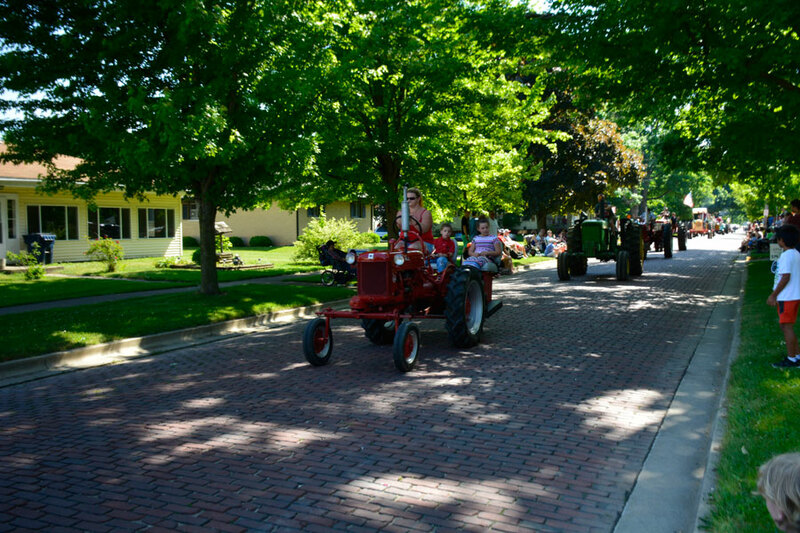 Tractors wound their way through the streets during the parade. 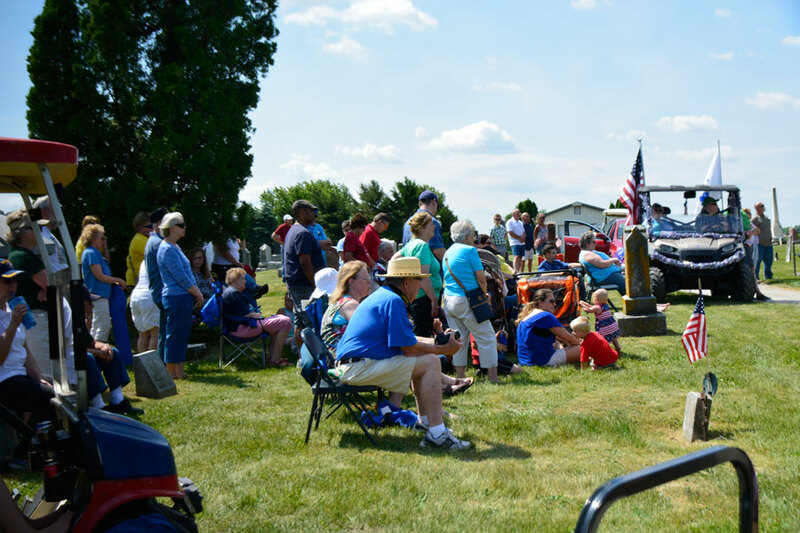 People gathered in the Leesburg Cemetery during the Memorial Day service. 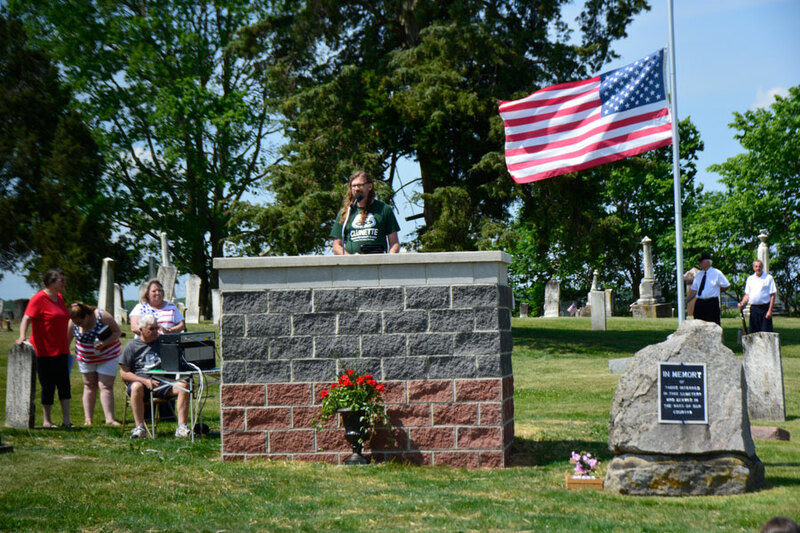 Pastor Mike Beezley speaking during the Memorial Day ceremony. Veterans giving a three-volley salute to honor the fallen soldiers.